Build Trust, Inspire, and Create Real Breakthroughs! Breakthrough Corporate Training is about creating real and long-lasting change throughout an organization. We do this using exercises, speeches, workshops, and more. Furthermore, we offer many supplementary programs, including our firewalking program – an add-on offer that our clients love. Read below also as you will find out more about our board breaking and arrow breaking add-on experiences. Here is a promotional video from one of our firewalking Sydney Australia events. 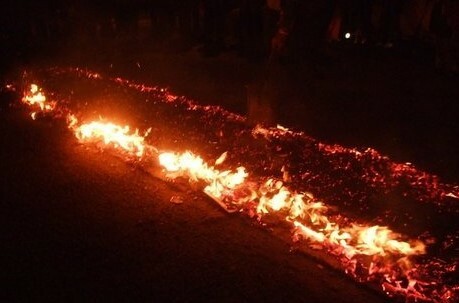 What is Firewalking? Firewalking is an ancient practice of mind over matter. In many cultures there is a ritualistic culture of walking over hot stones and hot coals. Each individual walks with purpose, overcoming the heat with their mind and proving that they have an internal strength that they did not know they have. Furthermore, we have a board breaking and arrow breaking offering that you can read more about below. Feeling as though nothing is impossible. Experiencing the power that comes from mind over body. Learning to never let no one hold you back. Knowing that you have people there to support your successes. Joy from feeling like you accomplished something amazing. When your staff attends a firewalking event, they’re doing something that they will remember forever. in addition, it is an exercise that will renew their energy levels, and make them feel an incredible connection to you as an employer, to themselves, and to those that supported them throughout the way. We’ve held many firewalking events in Sydney and around Australia as a way to provide a breakthrough experience unlike any other, and we make every effort to ensure that the experience is meaningful, and capable of improving your ROI. Rest assured – firewalking is dangerous. You are walking over hot coals, you can get burnt. Both Scott and Luke have experienced minor blisters on their feet as a result of walking on the hot coals. There is, however, an actual science behind firewalking, and why it doesn’t burn but it will have a degree of pain that each person will experience. But it is this overcoming that is often the catalyst to why people choose to firewalk in the first place. Luke Ashcroft leads this part of the workshop as he was formally trained by Tolly Burkan on how to safely build the fire and lead people through this experience. 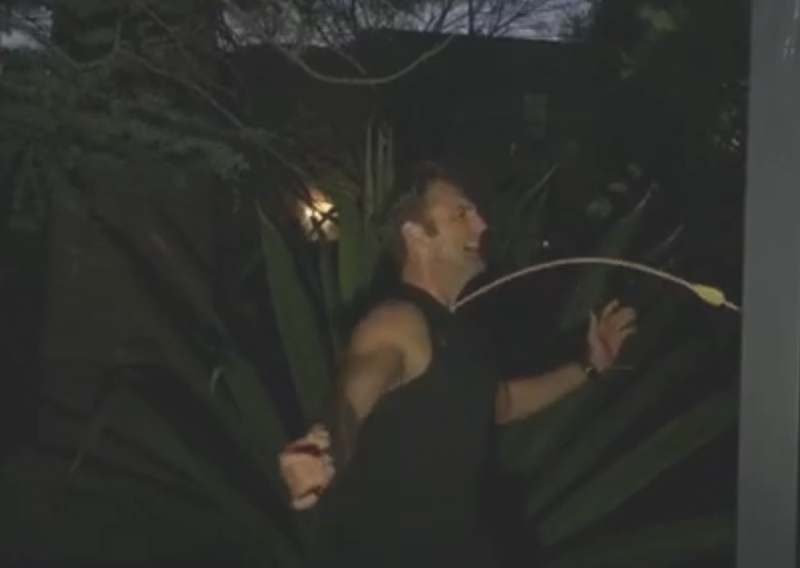 Tolly Burkan is also known as the person that taught Anthony Robbins How to Firewalk. Read More about Firewalking History Here. Limited Time on Heat – Each staff member learns to control how they walk, and walks capably and with purpose across the coals. This means limited time in contact with the heat, and immediate air cooling throughout the walk. Slow Heat Transfer – The materials used to conduct the firewalk have a slow heat transfer, therefore the employee has time to walk across when they walk with strength and purpose. Pain is in the Mind – There is a part of pain that genuinely is in the mind. Therefore, before the walking event, we teach the staff member how to focus on their goals and their purpose, and to learn the power that they have inside them. The skin on the foot is dense, and we are there with your staff members to ensure that they are able to walk across safely. Firewalking is also a spiritual event, capable of helping people get in touch with their inner strengths. Your staff arrive and we make introductions. We complete registrations for each staff member ready to participate. The Breakthrough Corporate Training staff will explain the value of firewalking. We’ll work on inspiring your staff members and get them to tap into fears and limitations that they will breakthrough. In addition, this motivational session will be customised for your team and it can include us creating massive shifts for people. We will demonstration why this is so valuable. We’ll teach everyone how to firewalk and how to control their mind and body. The Breakthrough Corporate Training Team Led by Luke Ashcroft and Scott Epp will go over the hot coals first. Then one by one, each staff member will walk across the coals. Wow – can you feel the excitement already? Throughout the process, the rest of the team will cheer them on. Once completed, we’ll celebrate and discuss what we’ve learned about ourselves. Wohoo!!! Way to go! We’re confident that your staff will love the firewalking experience, and will learn so much about themselves and what they can achieve and accomplish. Get your Staff to Breakthrough their fears with our Board Breaking and Arrow Breaking Experience! There are a number of different experiential activities that we can include in our training. If you want a confidence workshop, board breaking workshop or arrow breaking workshop we can add each or all to your team motivation event. We want your group to break through and be their best self. We all have limitations in our thoughts and at times these limitations cause us to doubt who we are and what we are truly capable of. The impact of poor self believe, low confidence and not living to your full potential is devastating to an organisation because their staff will be operating in fear and pride, rather than love, humility, courage and confidence. Breaking an arrow on your neck has been widely used as a breakthrough method for decades. The approach of both the arrow breaking and board breaking experience is outstanding for measuring breakthrough in mindsets and taking action for teams. So, here is how the Board Breaking experience works. For starters, breaking through a board is an incredible metaphor for breaking through a barrier that is holding you back in your personal and professional life. We first start by teaching about and getting each member of your group to write the limiting beliefs, fears and barriers that are holding them back from achieving the success that you need. Then we will write our limitations and fears and barriers on the board. Then we lead you and your staff through a process of uncovering the new empowering beliefs and we write those on the back of the board. Then we teach you the skill and strategies on how to effectively breakthrough the board and everyone will do it. The experience and environment and state of the room will be very invigorated and we will all breakthrough our boards! Then we will all take our experience to the next level by writing down our action steps and strategies personally and as a team (or according to the needs of your group). Anyone can breakthrough a board. We will teach you the strategy and techniques, but it’s more about the commitment and belief and mindset that we will inspire and empower your employees and team to know that they will breakthrough their barriers. Here’s a video where Scott demonstrates breaking a board that is much thicker than the boards your team will break during this workshop. If you are ready to create breakthroughs with your staff, firewalking, board breaking or arrow breaking with our breakthrough corporate training team is a great start. Contact us for more information about this, or any of our services.